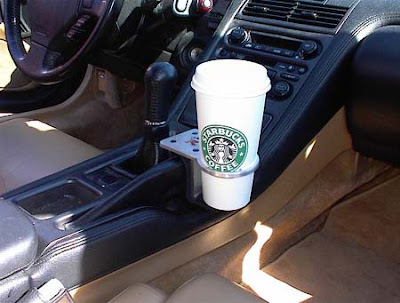 A few years back Volkswagen sent its German designers to the U.S. to study American driving habits, and they ended up shocked about us Yanks’ obsession with cup holders. German carmakers still don’t get it; a colleague of ours drives a Mercedes, and the cup holder is a Rube Goldberg-type thing that unfolds vertically from a slot between the seats, obviously a design afterthought. The lesson for marketers is we often act like German auto designers enamored with our unique engineering … without thinking about the psychological thirst of the consumers who will buy the product. Customers often use goods in vastly different ways than the original marketing plans intended. Play-Doh began as a wallpaper cleaning tool. Hot dogs started as a slur against cheap sausages on Coney Island suggesting they contained dog meat. The Honda Element launched with a wink-wink campaign telling young drivers about surf-friendly fabric and fully reclining seats … and Honda was surprised to find the average buyer a father in his late 30s with young kids who just wanted to haul stuff and clean up spilled milk. If what customers want is warm liquid that conveys security, you better build it into the product.